There are so many amazing benefits to ditching disposables. Here is a list of 10 great reasons for your family to start enjoying 'real' reusable, cloth nappies (diapers). Babies are expensive little things. A family in the UK can spend on average £40 a month on disposable nappies alone, that’s around £480 a year. Over a 3 year period with one baby in disposable nappies it could cost you upwards of £1440! For an example, switching to Natural Babi reusable nappies would cost around £180 if you were to buy 20 nappies (15 to 24 nappies per child is what we recommend) Then adding the cost of washing, 'Go Real' state research shows that washing Real Nappies at 60 degrees costs £1 per week – this includes wear and tear to your washing machine, detergent and electricity costs. We suggest washing cooler than this, so costs will actually be less. Adding those figures together gives you a total of £336 for a 3 year period, for nappies and washing. 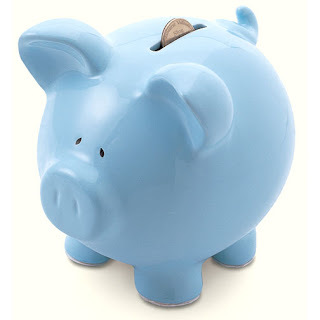 A saving of £1104! When you add subsequent siblings who the cloth nappies can be passed down too, the savings keep on growing. Who wants plastic pants?! Disposable nappies contain chemicals that enable them to hold moisture. Reusable cloth nappies are commonly made from natural fibers with a soft fleece inner which are extremely good at wicking away moisture from the skin (helping to avoid nappy rash), while being gentle and snugly against baby, making them very comfortable compared to disposables. Family life can be hectic. Switching to reusable nappies doesn't have to be a life changing event, you can use them as often as suits you. You may choose to use them while in the home or to cut down on the number of disposables you get through by only using them for trips out, with baby sitters or for bed. There aren't any rules! The days of Terry cloth nappies that you fold and pin in place are long gone. There are many different style cloth nappies to chose from. Natural Babi reusables are a fitted, adjustable style nappy that are so straight forward I'm confident you would know what to do just by looking at one. You just select the poppers to get the right fit with both hip and waist snaps. Add inserts for extra absorbency (for overnight or heavy wetters add more as required). Inserts can either sit inside the nappy, or to make them extra secure, pop them inside the pocket opening at the top of the nappy. And that's it. They are ready to go. Nappies are nappies, so no matter which kind you use you're going to be dealing with wees and poos. But despite what some may think, reusable cloth nappies don’t mean extra mess. Little flushable liners can be added to sit on top, inside the nappy, so you can remove the liner with its contents and flush it straight down the toilet. Simple! You're then left with a damp but relatively clean nappy, or with out liners you can just knock the poop straight onto the toilet. Washing cloth nappies is simple. You can dry store dirty nappies (no need to soak them in chemicals) in a wet bag or lidded bucket, then put straight into the washing machine. Also drying cloth nappies is a doddle, microfibre and bamboo are amazing! It will be almost dry after a spin cycle in your washing machine and once hung they are ready to use again remarkably quickly. The Environment Agency commissioned a LCA for nappies in 2008 which showed that when used responsibly, i.e. washing at a lower temperature and not tumble drying (Natural Babi reusables dry so super quick, there is really no need for tumbling,) reusable cloth nappies can be 40% better for the environment than disposable nappies. 4.5 trees are used in making all the disposable nappies a baby will use from birth to potty trained. cupful of crude oil is used in the manufacturing of each disposable nappy. Reusable Nappies have next to no impact on landfill sites compared to the 3 billion disposable nappies that are thrown away each year in the UK. 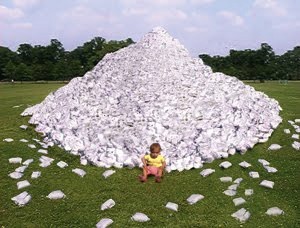 A baby in disposables will get through around 4000 nappies in total, so 4000 disposable nappies per baby to landfill, with each nappy potentially taking more than 200 years to naturally degrade! Produce less household waste. As much as half of the waste produced by a family with a baby will be nappies if they use disposables. By potty training a baby will have used the same weight in disposable nappies as an average family car and will still be sitting in a landfill site when they are great grandparents! Also, cloth nappies mean no smelly disposables. Most disposable nappies smell even when they are just wet, let alone dirty, which are then left sat in a bin. Reusable cloth nappies are made from fibres that avoid exposure to the gels and chemicals used in disposable nappies and are much more breathable, so can help prevent nappy rash and irritation. They also provide a comfy soft support for little bottoms when they start getting bumped from toddling! Most reusable cloth nappies have amazing, cute and funky fabrics that look adorable on little ones. They make cute outfits all on their own!I think cloth nappies are just too brilliant to miss out on, give them a try!